Our first monthly highlight is a juicy and affordable Spätlese in the style that made the success of the Estate over the years. 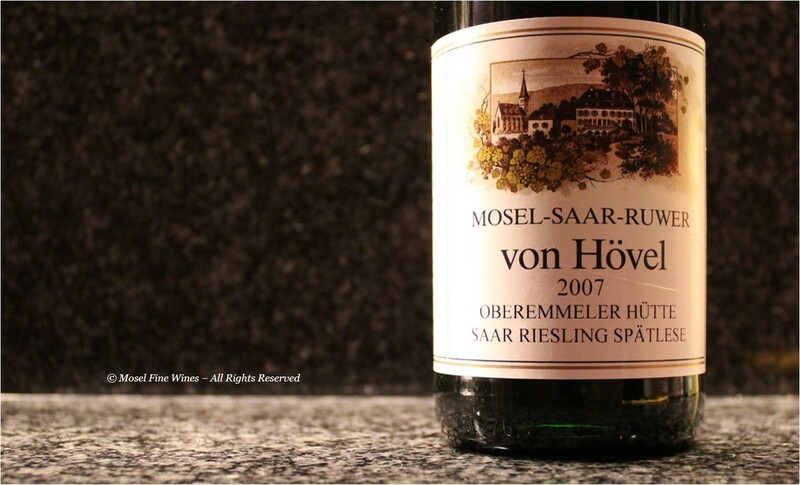 Eberhard von Kunow produced a wonderful collection of wines in the 2007 vintage at his Weingut von Hövel and managed to capture throughout his portfolio the essence of the vintage: freshness, sappy fruit and great balance. Within this, the Oberemmeler Hütte Riesling Spätlese (there is only one bottling made) stands out as exemplary for the classical Spätlese. To add to the pleasure, this wine is comparatively cheap and therefore a real bargain.